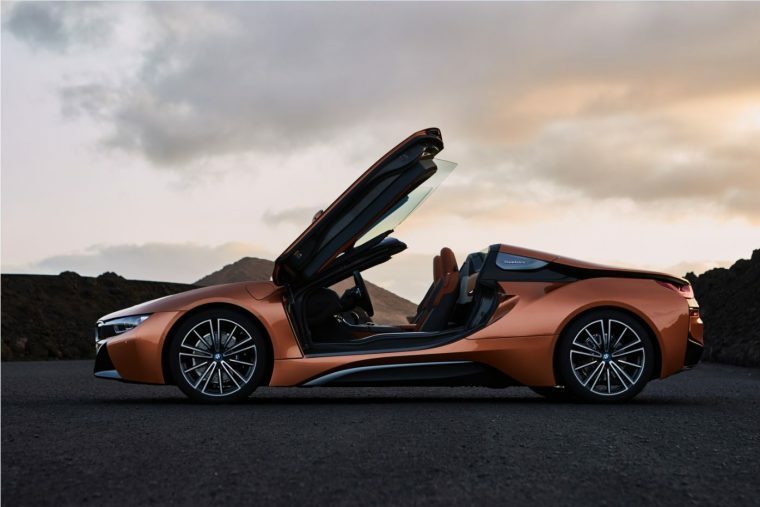 The very first BMW i8 made its debut at the 2013 International Motor Show Germany, wowing guests with its efficient powertrain and impeccable style. Once the vehicle went on sale in 2014 and the butterfly doors of the plug-in hybrid opened up, there was no stopping this innovative vehicle. 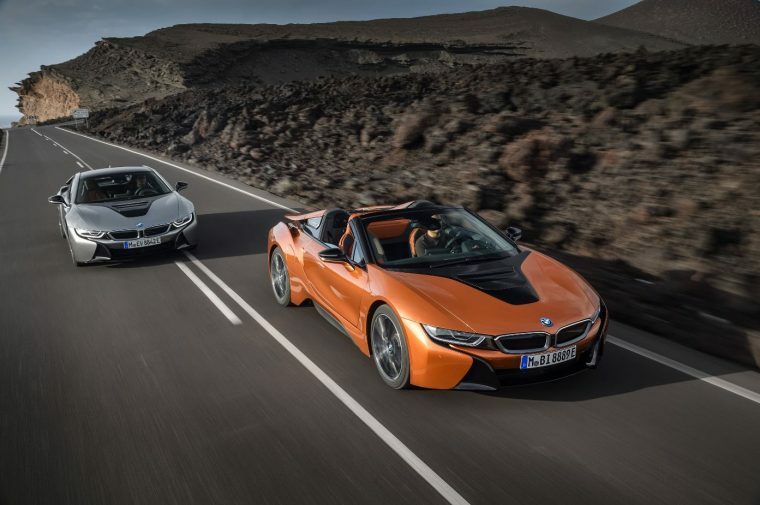 Move ahead four years and we’ve been introduced to the 2019 iteration of the i8, which is available as a Coupe or a Roadster. What’s new for the 2019 BMW i8? As with any BMW vehicle, the first thing you notice when the 2019 i8 is approaching is its signature BMW kidney grille. 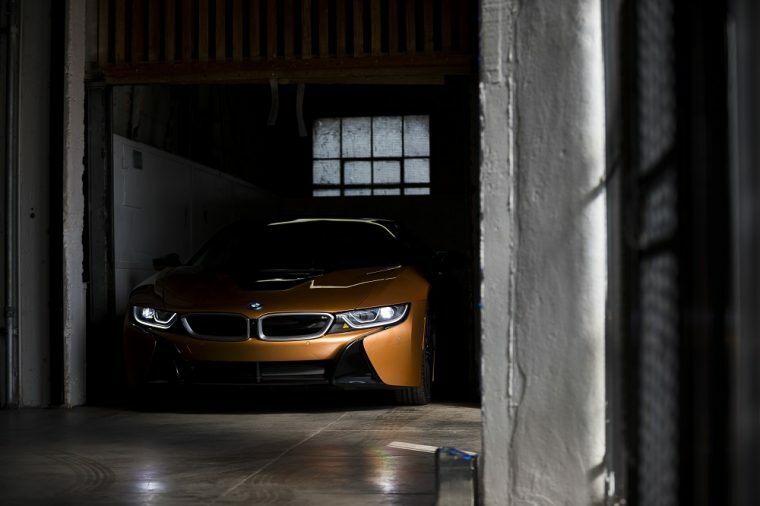 From there, the i8 is adorned with sweeping lines and features a low, wide stance. You’ll have the option to choose from six remarkable paint and accent colors, including the standout E-Copper with Frozen Grey. The soft-top of each Roadster is black, but the same exterior colors and accents on the Coupe are offered for the Roadster. 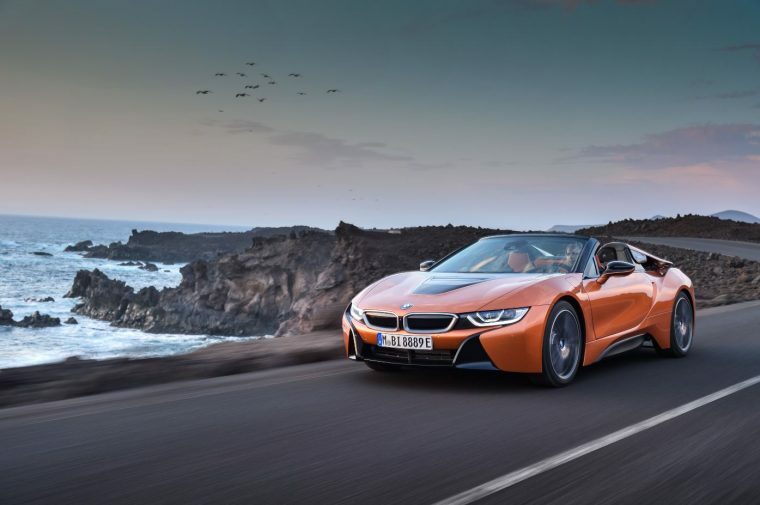 Both the 2019 BMW i8 Coupe and Roadster are powered by a 1.5-liter TwinPower Turbo three-cylinder engine with an AC Synchronous Electric Motor. The engine is mated to a six-speed automatic while the motor is paired with a two-speed automatic. 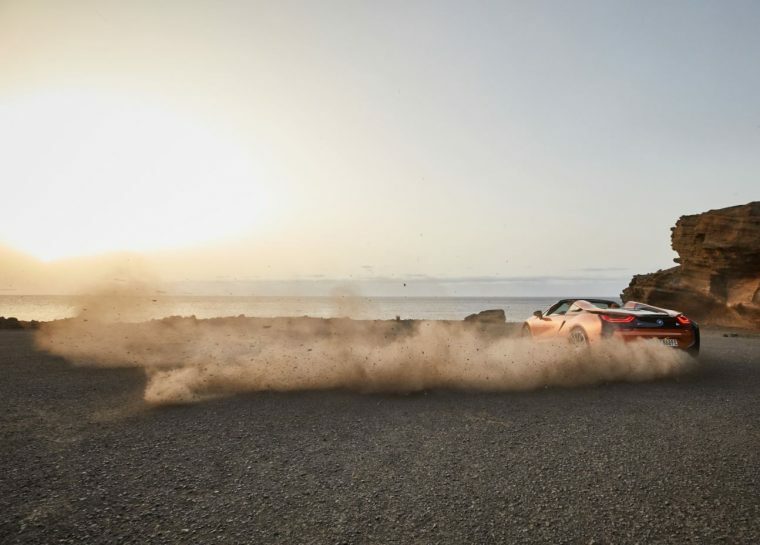 This allows the 2019 i8 to achieve a total system output of 369 horsepower and 420 lb-ft of torque. According to the EPA, the 2019 BMW i8 can get up to 69 MPGe combined for city and highway driving, when using electricity and gasoline. On just premium gasoline, the 2019 i8 can achieve 27 MPG combined. On battery alone, the 2019 BMW i8 is capable of 18 miles of range, thanks to an 11.6-kWh high-capacity lithium-ion battery. A sophisticated interior awaits you in the 2019 BMW i8. With heated leather seating, a leather-wrapped sport steering wheel with paddle shifters, and a Harman Kardon® premium sound system, you’ll feel completely at home in this luxurious vehicle. 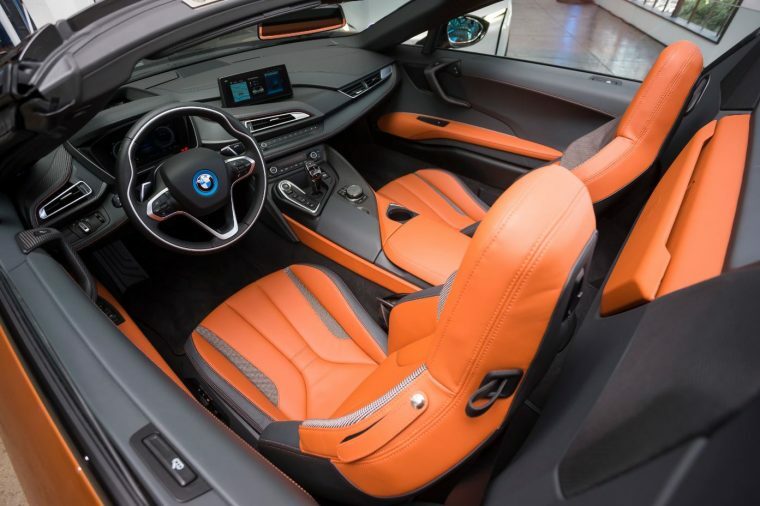 Both sporty and comfortable, the 2019 BMW i8 interior was designed with practicality and opulence in mind. Each 2019 BMW i8 is equipped with a variety of helpful safety features, ensuring you can enjoy a sporty drive worry-free. Along with expected items like an anti-lock braking system and impact sensors, the 2019 i8 features Active Driving Assistant with Surround View, which includes a Frontal Collision Warning, City Collision Mitigation, Pedestrian Protection, and speed limit information. 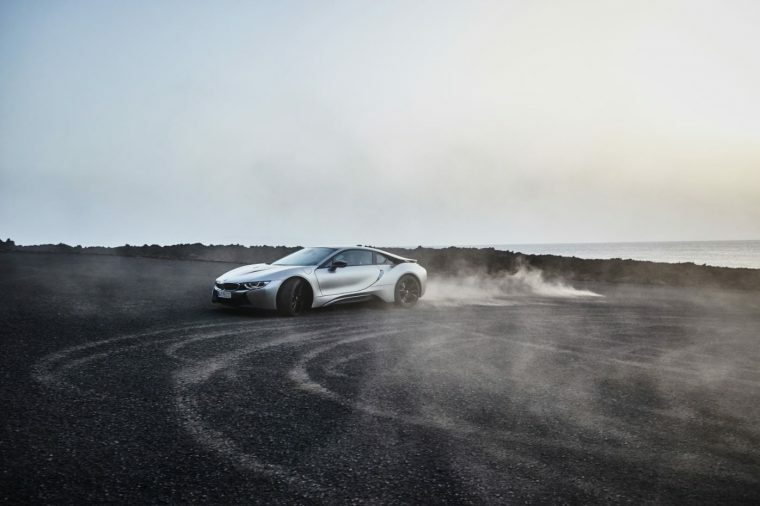 To top it all off, each 2019 BMW i8 comes with a 3-year/36,000-mile complimentary scheduled maintenance warranty and an 8-year/100,000-mile warranty for the hybrid powertrain components.